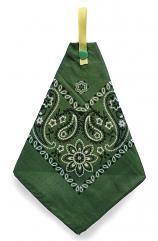 Soft cotton bandana coverup with an absorbent WeeRag inside. So, you love that traditional bandana look but you want to upgrade to a high-performance pee rag? 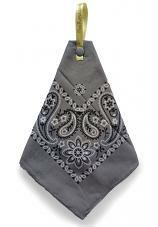 We've taken a corner of a soft cotton bandana and tucked a teardrop-shaped WeeRag shammy inside. 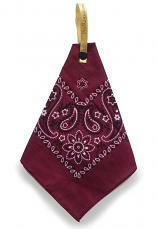 You can use it as it hangs, or fold back the end of the bandana and use the protected inner WeeRag. It's a great way to protect your business end, and keep your pack clean too!